We’re so glad you’re interested in Girl Scouts of Eastern Pennsylvania and want to learn more! At Girl Scouts, girls in K-12th grade unleash their inner G.I.R.L (Go-getter, Innovator, Risk-taker, Leader)TM every step of the way. Girl Scouts attend troop meetings, participate in the Cookie Program, explore the great outdoors, engage in STEM (science, technology, engineering, and math), solve problems in their community, and beyond! 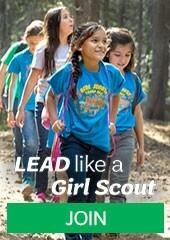 Find out more about what Girl Scouts can do! Just fill out this brief form to get started, and we’ll be in touch soon! If you are registering for an event, please indicate which one in the appropriate box. 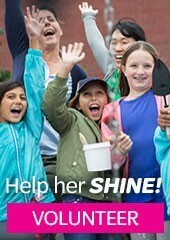 Already know you want to be a Girl Scout? Click here to become a member! Which local event did you attend or which event are you registering for?